Dutton Park State School held the annual Brisbane Serbian Festival last Sunday as part of the festival’s 6th annual cultural celebration. The annual festival is organised by the Serbian Orthodox Church of St Nicholas, Woolloongabba, and aims to showcase Serbian culture and traditions. Member of the organising committee, Sonja Ilic said the annual festival is a day for fun and to learn about Serbian culture and traditions. 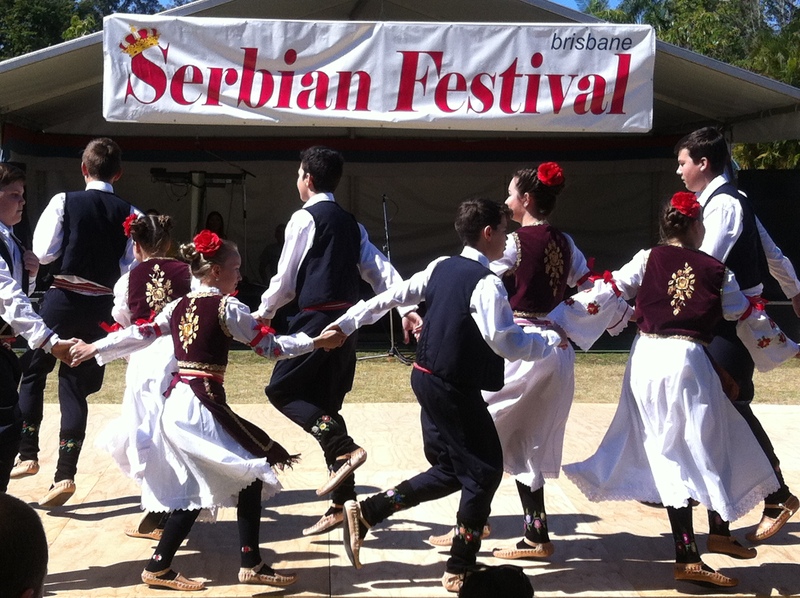 “The aim of it [the festival] is to showcase Serbian culture and traditions to the wider Australian community and to keep those traditions alive for the next generation of Australian kids born to Serbian heritage,” she said. Member for Griffith, Terri Butler spoke at the festival thanking organisers and members of the church for her invitation. “It’s a beautiful festival celebrating a beautiful culture and also celebrating the place that culture has in modern Australia, a multi-cultural country where we really strive to be and pride ourselves on being open, welcoming and accepting of each other,” she said. Member of the Serbian Orthodox Church of St Nicholas and festival patron, Dušanka said the festival allows people to really experience Serbian culture for what it is. “We want to showcase our food and dancing with our dancers wearing traditional dress representing different regions in Serbia,” she said.